Join thousands of other players in our epic quest to master League of Legends! Regardless of whether you are just a beginner, want to get better at LOL, escape ELO hell or want to train towards becoming involved in eSports - I’ve got your back no matter if you’re Annie, Twitch, Garen or any other of the champions on Summoner’s Rift! 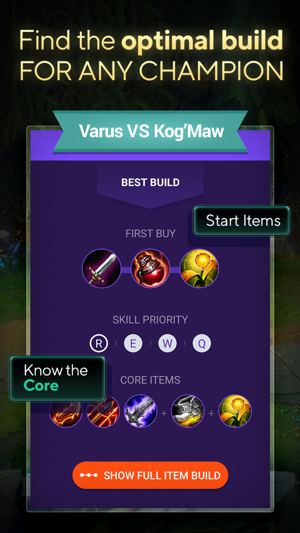 - Automatically calculated item builds for League of Legends tailor-made for every new match and always up to date with the current item and lane meta. - Special hints for all champions and skill badges. That guy may be in Gold league, but how good is he really in lane? Know the true skill of your opponent! - Strengths and weaknesses of your lane and match opponents. - Regular updates with all the changes to League of Legends and item stats. - Track your performance and you know how well you really did, regardless of victory or defeat. Should you choose to subscribe to LOLSUMO Pro, the purchase will be charged to your iTunes account. The subscription will be auto-renewed 24 hours prior to it running out and you can manage it from User Settings in iTunes after purchasing it, and you'll also be able to cancel the auto-renewing subscription from there. LOLSUMO is great if you use it for figuring out what you do best in a match and what needs to be worked on. Before I used less wards and didn’t focus much on cs. 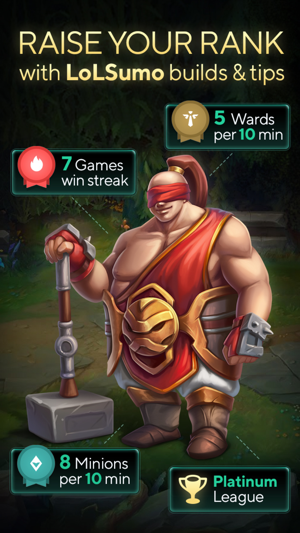 After getting LOLSUMO, I became a lot better with every one of my champions by getting more engaged in team fights, getting more cs, warding more often, and doing so much better overall. I practically get an S -/+ every 3 matches depending on my teams and performance (since lol is a team game). I also use lol for the tips it gives when going against champs on the other team. It sometimes tells you what to do if you engage with them, what items to build and often whether you should just avoid them in general when possible. 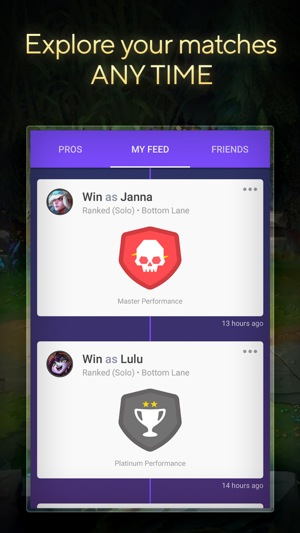 I’m often sure there much more with LOLSUMO because I’m still a noob with this app and the fact that there is a premium option but this is enough to help me get better with my champions. GL on the rift! This app is absolutely wonderful for both free and — I’d imagine — paid users. I don’t even pay (not yet at least) and it gives me a great basic overview of my play, which I’ve been able to improve now. 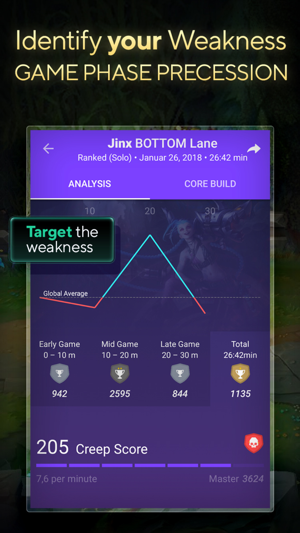 One strange thing to me, though, for those who designed this app: it seems that kill participation is not always an accurate measurement of a player’s performance during a match. For example, if you’re playing adc, and your top laner does exceptionally well in laning phase, the amount you participate in the total kills for your team will seem to reflect that you did poorly. It’s not very reasonable to have a system where the better your teammates perform when you can’t help them, the worse overall score you get on the app. It gives you builds for certain situations, runes and masteries, info about your opponent and how well they have done with the camp they are playing. The only problem I have is, they use the same grading system for all lanes. And this grading system weighs very heavy on your creep score. This can be very inconvenient if you get autofilled to support. 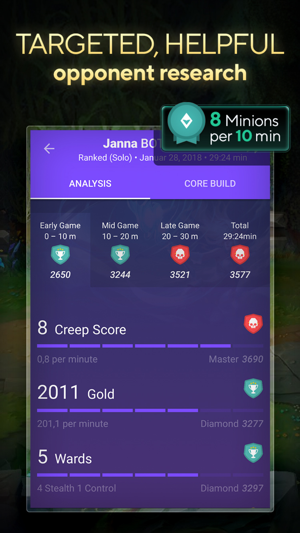 Since the support role is supposed to give all the creeps to the ADC, the support generally doesn't even break into the 50's when it comes to creep score. However I do realize it is easier to make a standardized system so it doesn't get confused or give you the wrong build if you switch roles during ban/pick phase. Other than that, it's really helpful and it makes me feel like a better player than I probably am which is good because solo queue is rough.